China is the world’s largest food & beverage market, and one that continues to expand and grow year on year. By 2020, 75% of China’s urban population are expected to be middle class, resulting in an increased demand for high quality diverse, food, beverage and health products. This continued growth in the Chinese market offers a wide variety of opportunities for both global suppliers and manufactures to tap into the Chinese market. In addition, consumers are becoming increasingly health-conscious, leading to the food and health industry being more intertwined than ever before. In line with these market trends, we have therefore decided to create one exhibition to cover products and services for the whole food & beverage value chain, from raw ingredients to finished health food products. With 'Healthy China 2020' being incorporated into China’s national strategy, consumer demand for healthy products continues to grow. 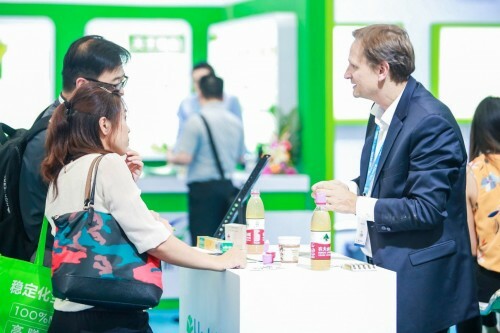 Hi China is the leading event in China for the health and natural ingredients industry and the exhibition has continued to evolve and expand in recent years in line with rising consumer demands. At the 2019 edition you can expect to find more than 350 local and international health and natural ingredients suppliers. Hi & Fi Asia-China together with Healthplex Expo (HNC), ProPak China & FoodPack, Starch Expo offer you the access to the whole food and beverage production value chain, from raw ingredients to finished health food products. ● China’s growing middle class is estimated to make up 75% of China’s urban consumers by 2022. These consumers have higher disposable incomes, and an increased awareness of food and health issues. ● China has a unique business culture that strongly emphasises “face to face interactions”. Hi & Fi Asia-China is the place to make these business connections. Health ingredients, Natural ingredients, Organic ingredients, Functional ingredients, nutraceuticals, Dietary supplements, Vitamins, Functional foods, Sports nutrition, traditional Chinese food and beverage products, Beauty and personal care products, etc. Food and beverage ingredients, Food additives, Food spices, Food flavours, Solutions in processing, Packaging, Equipment and associated services, Processing and packaging solutions focused on the dairy, beverage, pharma and cosmetics industries, Starch, modified starch, starch sugar and machinery, etc. This year, Hi & Fi Asia-China will take place at NECC Shanghai. Address: 333 Songze Avenue, Qingpu District, Shanghai P.R.C. Take Line 2 to East Xujing Station, where you will arrive directly at the exhibition venue. Please use exit 4,5 or 6.